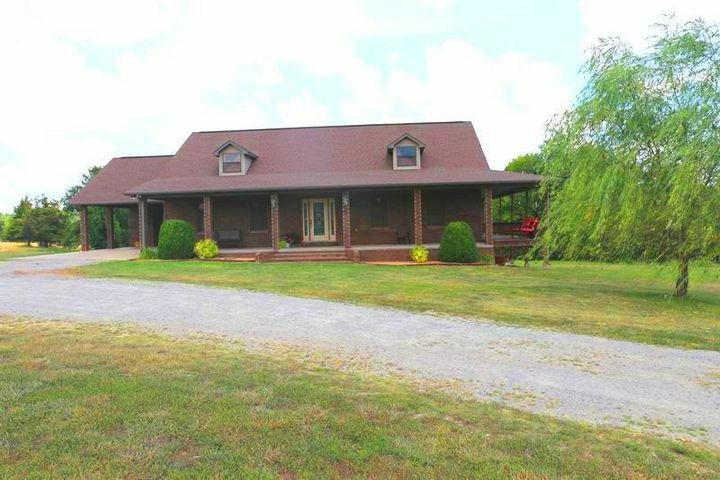 Country Home with Acreage for Sale in Southern Missouri. This 40.79 Acre m/l Property is mostly rolling & wooded with some open! It has a 2 bedroom, 1 bath farm house with lots of character! Home has multiple heat sources, large kitchen/dining combo, corner garden tub, covered front porch, drilled well, an older cistern, 2 ponds, trails, barn, shed, covered detached garage, small horse barn, nice mature shade trees, cherry trees, an additional home site cleared, partial perimeter fencing, cross fencing. Electric to all outbuildings except big barn. This property is just waiting for the person that sees its potential! Hobby or horse farm, country living, hunting, self sustained lifestyle! This property is located in Oregon County, on County Road 250, outside Thayer, MO. It is a short drive to Eleven Point River and a short drive to Mammoth Spring, AR. From Thayer: East on 142/East Walnut Street; 7.9 miles turn left on State Highway EE, 1 mile turn right on County Road 250. 0.9 mile to property on right. Sign displayed.